I’ve used open-source network flow monitoring software for a long time now. 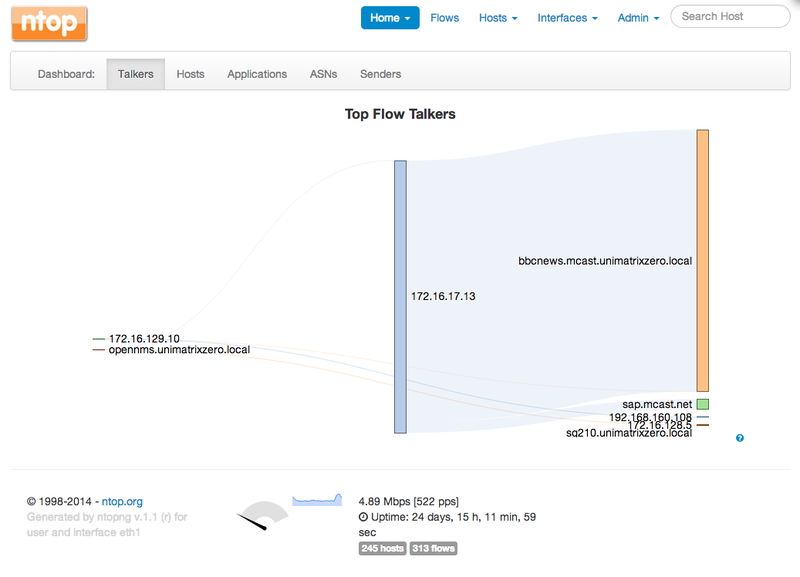 Sflow/Netflow/JFlow applications are a nice way of getting visibility of network throughput at ingress/egress points of your network, as are SPAN/TAP devices which simply listen on a mirror port. NTOP has been around for some years, is a great application for doing this and has recently under gone a lot of development to bring us NTOPNG. It also offers a low-cost alternative to full Layer 7 inspection devices although it doesn’t necessarily have the full detection depth of such commercial products (appliances such as Allot’s NetEnforcer, or Blue Coat’s Packetshaper). NTOPNG is available as a source package which you can build yourself as well as pre-built binaries (some Linux OSes come with it packaged) all the way up to commercial appliances capable of monitoring flows at very high speeds. 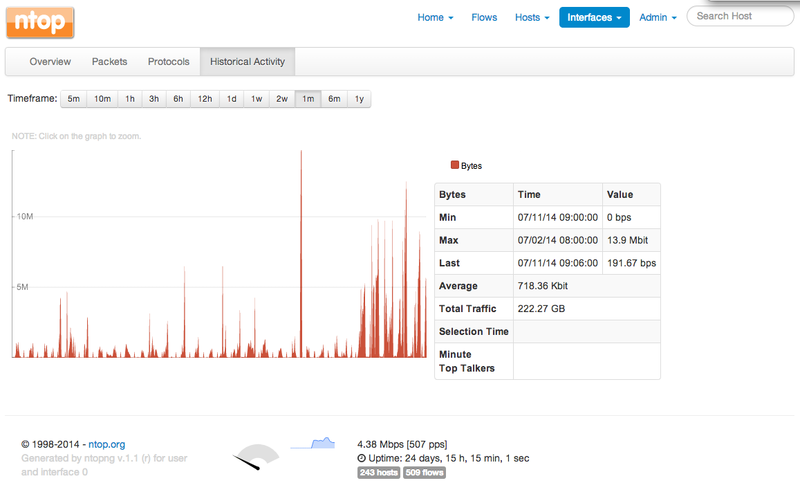 For my purposes, I used the source package, with the intention of building a Virtual Machine capable of monitoring the network and have a mirror port on my switch. 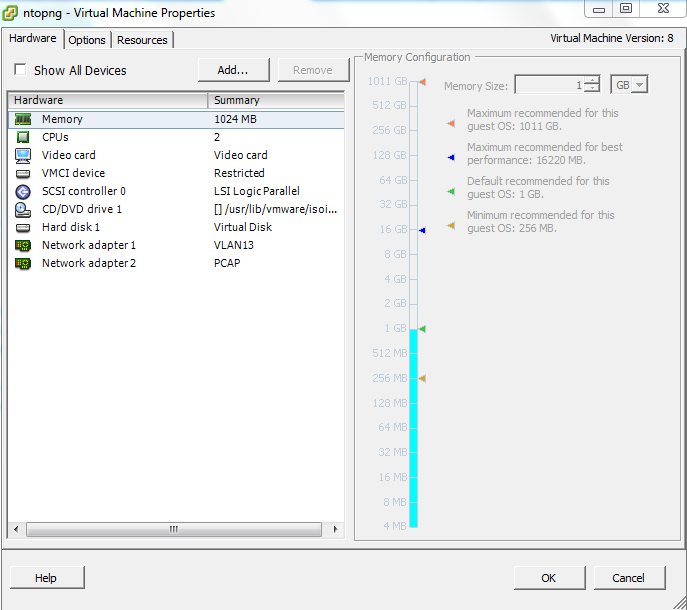 My VM settings are pretty basic – 1GB memory, 20GB disk space, and two vNIC’s. I used Debian as my OS of choice for the VM. A basic install was needed to begin with, with a few extra packages needed later to support the installation of NTOPNG (more on that below). Network adapter 1 is for management, adapter 2 is for packet capturing from the switch mirror port. 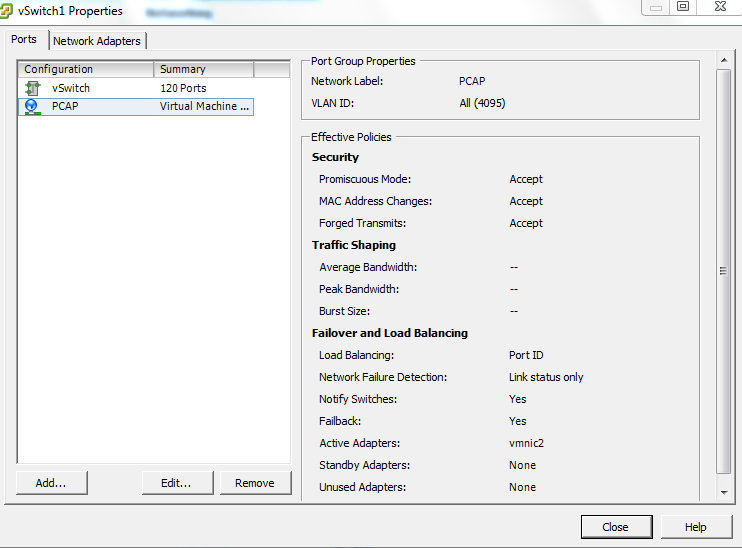 The mirror port uses a spare physical NIC on the ESX host which is configured in promiscuous mode (e.g it hears everything). When the above packages have been installed, you can that move forward with the NTOPNG installation. 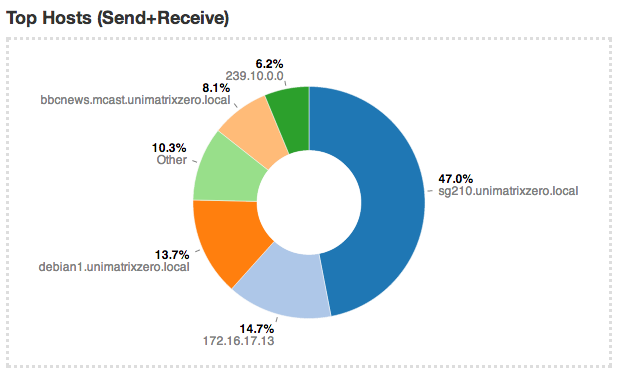 ntopng-data-1.1_6932.tgz – NTOPNG GEOIP data. Enter ‘make’ to start building ntopng. The VM will start to build ntopng and may take a few minutes depending on the speed of the CPU and how busy the ESX host is. When it is finished, you will simply be returned to a command prompt if the build was successful. Next, enter the following command to install ntopng onto your Linux host. Once done, you can fire up ntopng. There are a number of parameters which can be specified with the ntopng command. The above command actually runs from the /etc/rc.local file which is invoked at system startup. This means you don’t need to build a startup script for use in /etc/init.d/ with Debian, as rc.local is already called. I found the login timeout for the web console annoyingly short, so disable logons (with the ‘-l’ switch) as ntopng is on a protected network segment. With all that done, here are some screen captures from ntopng. First off, live traffic. Next, we can view historical data from ntopng (this is based on information since the process started up). For the switch mirror end of the setup, I configured my Juniper EX2200C to mirror the ingress/egress port (ge-0/0/9) to the physical NIC which vSwitch1 is attached too (ge-0/0/10). This then maps the mirror port to the PCAP vNIC which is assigned to the Debian VM. So there you have it. NTOPNG setup and nicely monitoring my network. There are lots of other features to play with, including integration with block.si for URL Category monitoring which I may play with in the future. Protecting your computer online is a minefield of choices for a user to contemplate; should you trust the software you install not to be riddled with backdoors, the websites you visit to make sure their code isn’t riddled with malicious scripts or linked to malicious third-party sites, the ISP who provides your connection to stop the bad guys before they get to your home connection, or a combination of all to make sure you don’t get hacked/compromised/infected, become hijacked and join a botnet or lose your private information? For my day job, I often see company networks relatively well protected with Next Generation Firewalls which inspect protect corporate networks from attack using advanced IDS/IDP/Content Filtering/Application Inspection features, but these devices cost a lot of money. So how to add some much needed protection to your computer, for free? If you checkout my other posts here, you’ll notice I’m a bit of a Blue Coat fan. I’ve worked with their products for 10 years and have always been mightily impressed with their capability of protecting corporate users from websites which want to install malicious code or steal information. 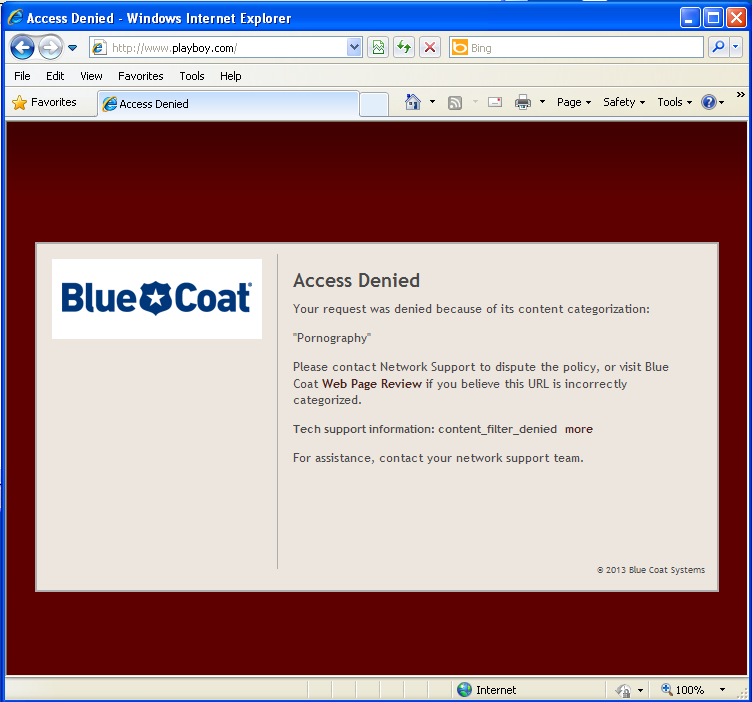 As with the Next Generation Firewalls, those Blue Coat products cost money, however there’s one product Blue Coat provides which is designed with home users in-mind and is free; K9 Web Protection. K9 is specifically designed to allow Parental Control of children’s internet browsing, restricting which website categories your child can visit, how much time they can spend online and whether Search Engine Safe Search is enabled. Whilst this is great, K9 can also provide highly effective protection for everyone’s computer whether you have children or not. K9 uses Blue Coat’s ‘Web Pulse‘ collaborative online rating system. Web Pulse is a global network maintained by Blue Coat which provides an almost instant rating of categorised and uncategorised web pages using many different methods such as page content, links on the page to other websites, DNS information, hosting history (e.g is the server hosting the website also hosting content from a known malicious source) and historical reputation. It rates 1 Billion+ requests per-day from 75+ million users worldwide. The ‘collaborative’ part of this system is that all of the Blue Coat corporate devices (the ProxySG, ProxyAV and PacketShaper), and existing K9 users feed uncategorised URLs to Web Pulse for it to rate. The effect of this is that any URL one user sends to Web Pulse for categorisation, other users of Web Pulse get the benefit of that categorisation. Thats very cool, no?! I won’t go into getting the software install, there are some very good instructions on the K9 website on how it’s done, instead I’ll show you what you need to do to protect yourself from the bad guys online. First, login to the K9 Web Protection (usually in Program Files / Blue Coat for Windows or Applications / K9 Web Protection if you use a Mac), and navigate to the ‘Setup’ section. By default, when you install and activate K9, it blocks a number of categories out of the box. You may want to keep those as is, however if you want a less restrictive, but still protected level of categories, choose ‘Custom’ then check the following. Make sure you click ‘Save’ at the bottom of the page to finish the changes. 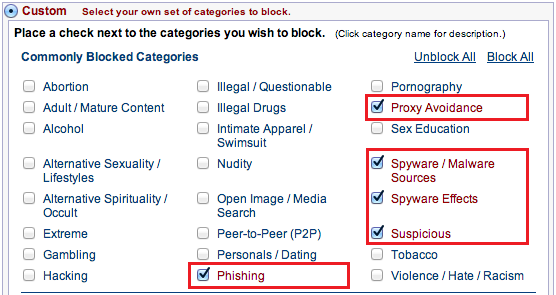 Finally, under ‘Other Settings’ (on the left), ensure that ‘Enable HTTPS Filtering’ is checked (this is the default). Why enable HTTPS filtering? See below at the end of the document for more information. As an example of how K9 can protect users online, lets take my wife’s internet browsing habits. She’s what I’d class as a ‘regular’ internet user, browsing shopping sites, checking her email, and watching TV online. My wife is a Filipino, so likes to keep up-to-date with programs from the Philippines. There are a few places online which allow this, but she primarily uses just one. That site is packed with advertisements, popups, and links to other external sites as I guess they have to pay for it some how, however, here’s a snapshot of the K9 Web Protection report from her Macbook. So, as a ‘regular’ internet user, with no intention of visiting a site which is malicious, she’s visited something which is clearly classified as Suspicious or Spyware/Malware Source according to K9! Those domain name look suspicious straight off, no? Here’s a screen capture of those connection attempts. In this case, the client computer is attempting to make a HTTPS ‘CONNECT’ to the sites listed above. ‘CONNECT’ is the method used by HTTPS communication to setup the session between your client and the server on the internet. In this case, as the customer was protected by a ProxySG appliance, the requests were blocked, however it is a good demonstration of why HTTPS, as well as HTTP should be inspected if you use K9. So there it is, protect your computer (or Mac) online, for free. Install it now, before its to late! 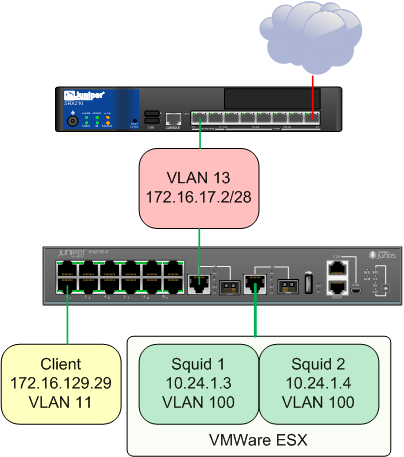 A problem landed on my desk the other day from a customer in relation to using the excellent Blue Coat ThreatPulse cloud SaaS product when the Juniper SRX sits behind a DHCP assigned public IP Address. Worse, due to the location of some sites and the ISP offering available, the SRX was itself behind a home broadband NAT router doing IPSec pass-through in order to establish a connection back to the corporate network. 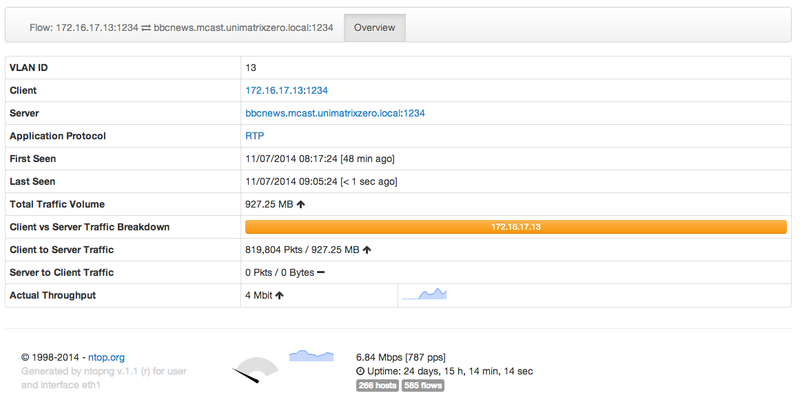 Proxy Forwarding – Utilising an on-site proxy to forward requests to ThreatPulse. Mobility Connector – An iOS client which creates a VPN tunnel to ThreatPulse to control what apps and browsers can do on iDevices. This particular problem, and the solution I came up with relates to the first three connection methods, Explicit Proxy, IPSec Forwarding and Proxy-Forwarding. 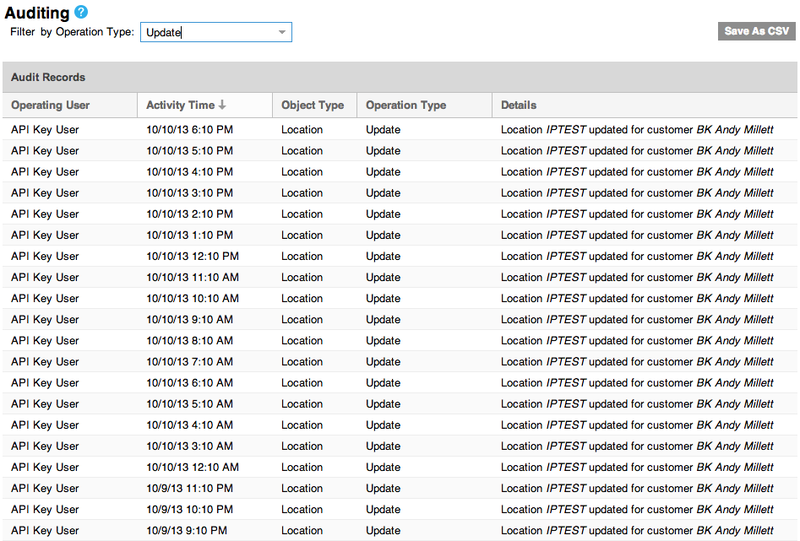 Each of these methods requires that you setup a ‘Location’ within the ThreatPulse dashboard. 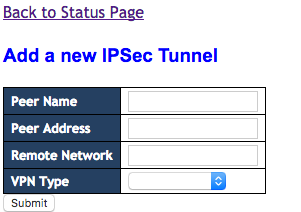 Selecting the IPSec (Firewall/VPN) location brings up its configuration section. As you can see, there’s no place to update this dynamically, and ThreatPulse doesn’t support Aggressive mode VPN which can sometimes help to mitigate such problems. In this case, however, we have to do something at the SRX end. There’s some useful information on Blue Coat’s Knowledge Base for making changes to ThreatPulse using the built-in API. 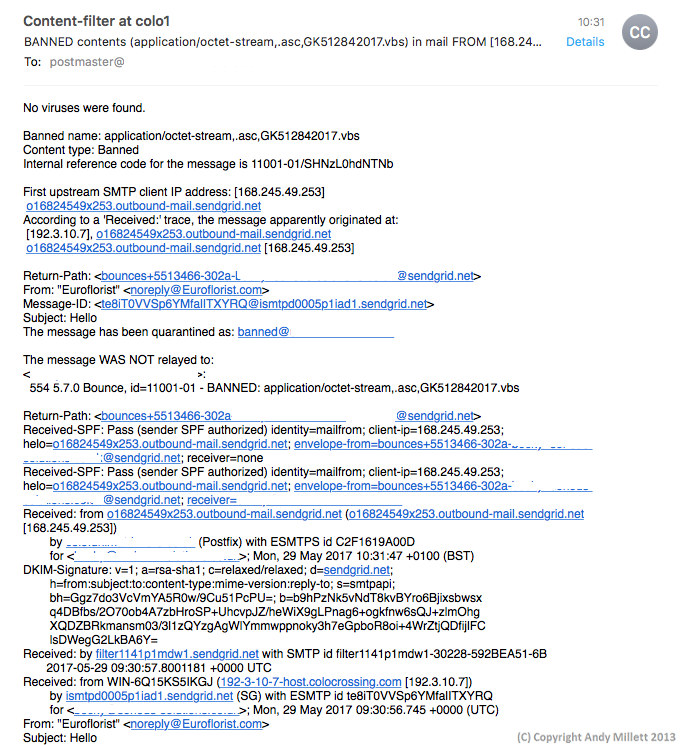 The API is designed for situations like this where administrators need an automated way of updating ThreatPulse, but without having to login to the administration dashboard. 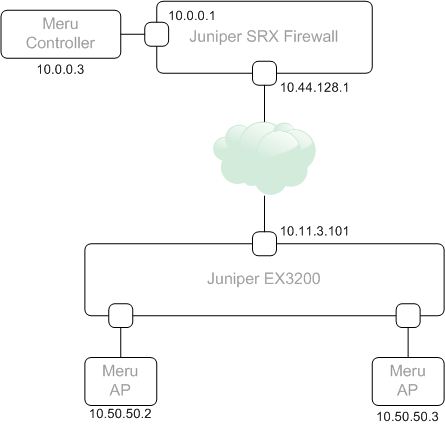 Unfortunately, the documentation doesn’t specifically cover Juniper SRX (or SSG for that matter), it covers Cisco IOS and using ‘ip ddns’ commands to update the ThreatPulse service settings. All that said, the API can be used in-conjunction with the SRX and what follows is how I did it. In some of my previous posts I’ve used the underlying BSD cli to update things like Firewall Filters. Using this method again, we can update ThreatPulse Location settings without having to login. Basically, the script copies the last IP Address check results from ‘ipnow.txt’ to ‘ipprev.txt’, uses CuRL to get the Public IP Address at the time the script is run, and copies the output to a new ‘ipnow.txt’ file after which it performs a ‘diff’ against the two files within an ‘if’ statement. If the ‘if’ statement evaluates that the two files are the same, it does nothing, however if it evaluates that there is a difference, it performs a ‘cat’ against the new ‘ipnow.txt’ file and uses it as part of the new CuRL string sent to ThreatPulse API which updates the location. The other end of this is a simple PHP page which returns the IP Address in text form. 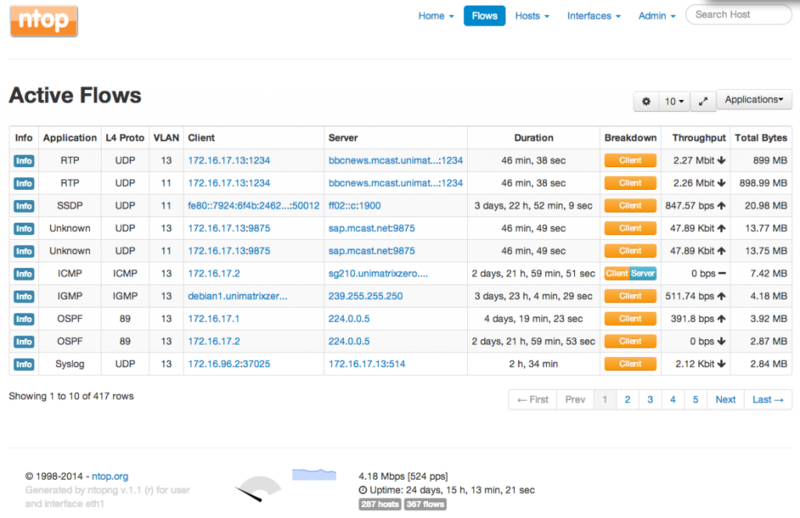 All it needs is to be on a public Web Server somewhere the SRX can get too. With both ends in place (the script on the SRX, and the PHP script on the Web Server), you can run the script manually if you like by running – ‘sh <script_name>’. Line 1 executes my script to check the external IP address. Line 2 executes the change IP ‘load replace’ script at odd hours. Line 3 executes the change IP ‘load replace’ script at even hours. Sweet! Simple Unix commands and a cron script save the day! 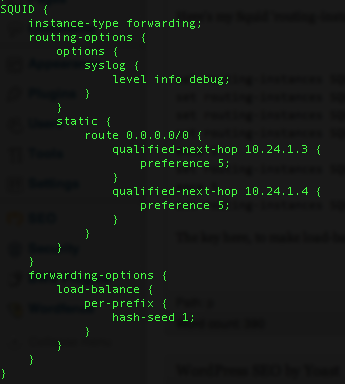 Unfortunately, I don’t have a DSL connection which I can put an SRX onto behind a NAT router, however this script will work irrespective of this (e.g it will pickup the public IP of the NAT router). That strikes me as a bit shoddy, but we have to work with what we get. Perhaps Juniper will fix it in later releases. 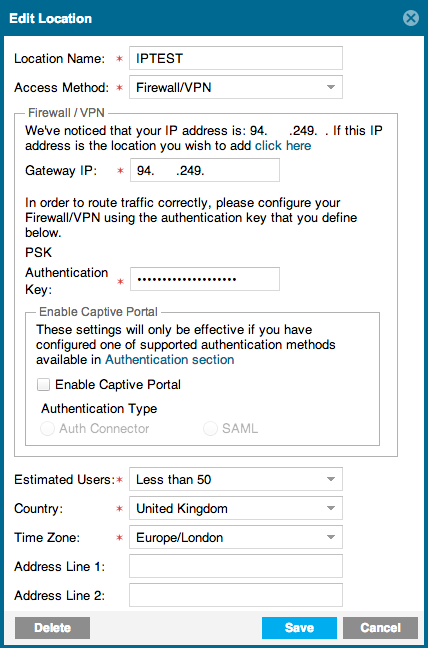 So there it is, if you have purchased Blue Coats excellent ThreatPulse SaaS (and, oh boy should you) and you have an SRX which is sat on a DHCP assigned IP address somewhere on your network, the above will help you keep ThreatPulse updated with any changes in the IP.